Welcome to the pack! At Lucky Paws, we believe dogs love socialization and freedom as much as you do! That is why we offer all-day daycare and daycare inclusive boarding. Whether your dog is here for the day while you're at work or a week while you're on vacation, you can relax knowing your dog is having the time of it's life. Need proof? 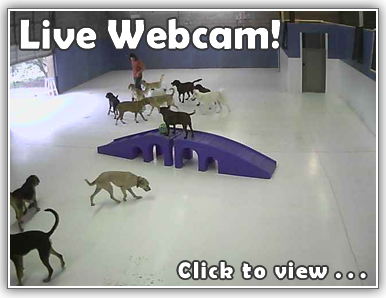 Check in any time via the live web-cam. You will see big dogs, small dogs, old dogs, hyper dogs...the pack is very diverse! About the only thing they have in common is they're all friendly! To learn more about Lucky Paws, click the media tab above to view photos and videos, and check out our facebook page. If you have questions, check out the FAQ's, send us a message, or call us at 919-550-8400. We look forward to welcoming you to the pack! Lucky Paws Daycare Boarding & Grooming is a premier pet resort that serves the Clayton, Garner, Smithfield, and Raleigh areas specializing in daycare inclusive dog boarding, dog daycare, cat boarding, dog grooming, and cat grooming. We are conveniently located at 2900 Highway 70 East in Clayton, North Carolina. 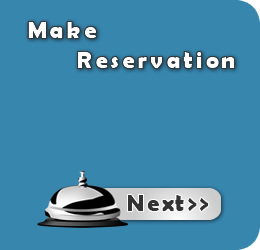 Use this site to make a reservation, track your dog's boarding stay, watch our dog webcams, or learn more about Lucky Paws Dog Boarding. Don't get caught using an old school dog kennel where your dog or cat will be cooped all day with minimal exercise; at Lucky Paws, doggie daycare is included with every boarding stay at no additional charge! That means your loved family member will get his own mini vacation where he can play and socialize with other dogs while you're away. Does your dog or cat need a goom? Our experienced and talented grooming staff here in Clayton, NC provide a wide range of services from trimming, styling, and deshedding, to medicated oatmeal baths and skin rejuvenation, all while making your pet comfortable and relaxed. Think of it as a dog day spa! Meet our groomers or make a grooming appointment online by visiting our pet grooming page or call our groomers directly at (919)550-8400.